Heavy rainfall throughout 9 November, caused flooding in riverbeds and other low lying areas in the Judaean Desert and the Northern Negev in Israel. 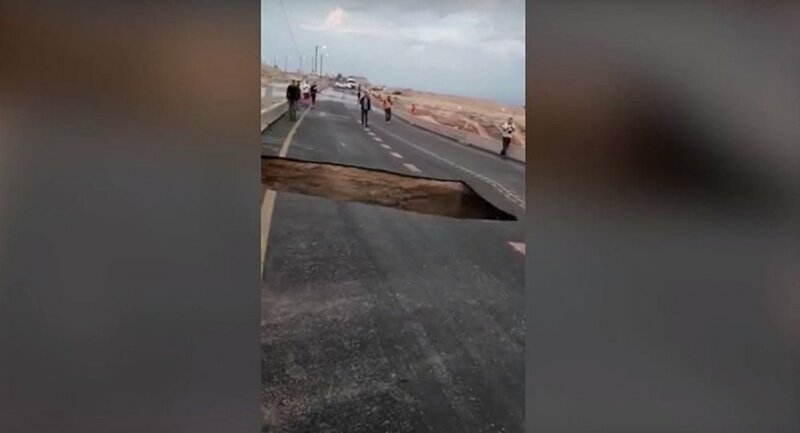 A part of the Route 90 highway near the Dead Sea, has been washed out by mudflows, leaving four people blocked and stranded, the Times of Israel reported. The individuals have been evacuated on a military helicopter and taken to the nearest hospital by an IDF search-and-rescue team. Social media users posted numerous videos capturing Route 90 near the Kidron River splitting in half after big chunks of the pavement crumbled several metres into the ground. The rain is expected to continue during the weekend in southern and eastern Israel. — חדשות עשר (@news10) 9 ноября 2018 г. Flash flood alerts have been issued for the Dead Sea area.